The third installment in the Lucky Harbor series is centered around Chloe, the youngest of the three sisters. She's been painted as the "wild child" in the first two books. With her free spirited nature and live life on the edge personality, it's going to take a lot to settle this girl down. Never planting roots while growing up has caused her to never get too close to anyone. Sure she cares about her two older sisters, and yes she has a want to stay in Lucky Harbor and run the B&B with them, but she's always had an out -- something to escape too when things got too serious. This time though, that something serious is Lucky Harbor's town sheriff, Sawyer. He hasn't exactly grown up safe and easy either. He's had a bit of a wild past, too. However, he's attempting to turn over a new leaf and ground himself. Just when he thinks he can get by without anyone else either, Chloe makes that impossible for him. These two characters had an instant chemistry from book one. 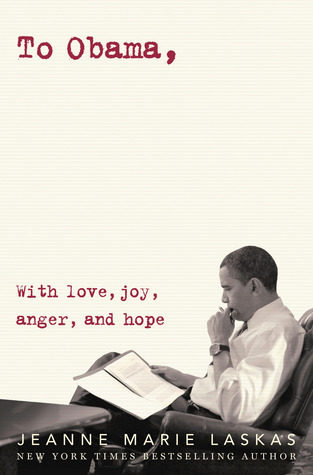 Even though their story didn't emerge until this book, you had a feeling something was brewing there. Their connection was an instant flame. HOT! HOT! HOT! From the looks they gave each other, to the wild moments shared alone, I was constantly fanning myself. Their relationship has most definitely been my favorite to read about so far. Once again Jill Shalvis has given us two rich characters with individual voices demanding to be heard. Underneath all the fiery passion is a story with deeper contexts. I saw the frightened girl who kept herself hidden behind that strong facade; the girl who longed to feel content and solid with her life. I also noticed that guy who attempted to put on a steel face, but really he was a man exhausted from the weight he carried around on his shoulders. These two characters attempted to be polar opposites, but truly it was obvious their connection brought them back time and time again. This book held so much of what I love in a contemporary adult romance. It's proven how much I am enjoying this series, as the books just keep getting better and better. 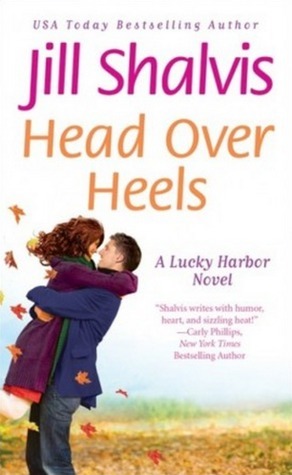 If I haven't sold you yet from my previous two reviews, then perhaps this book will put you over the edge and cause you to dive in to Lucky Harbor... Head Over Heels. I've already downloaded the first book in the series - I can't wait till I finally get to read it and meet all these amazing characters!